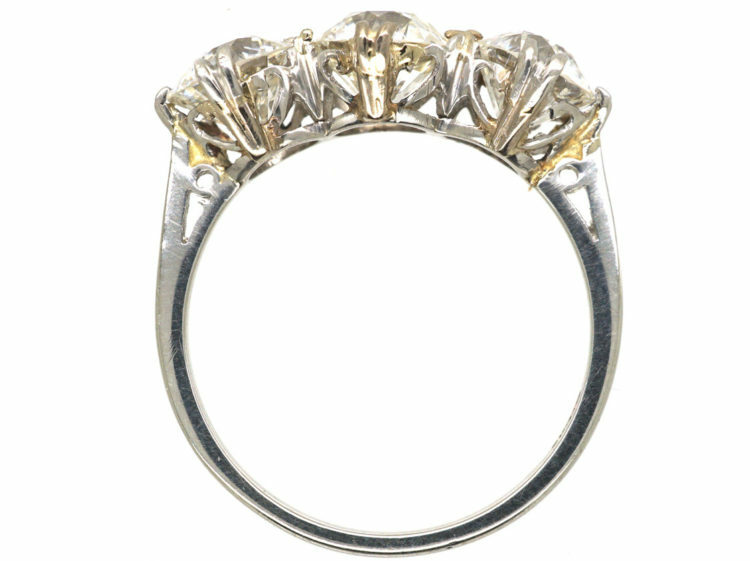 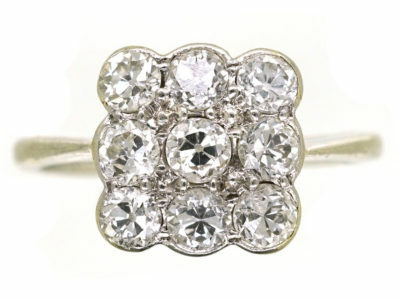 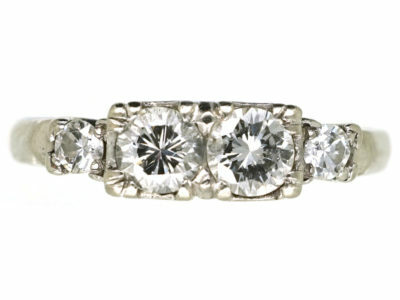 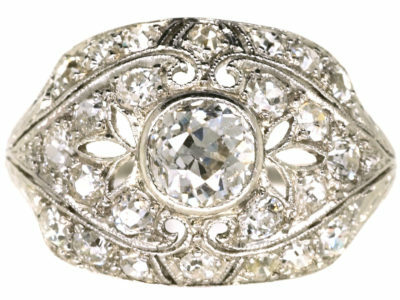 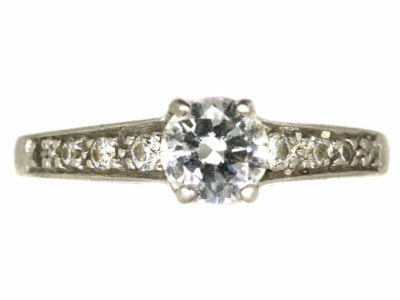 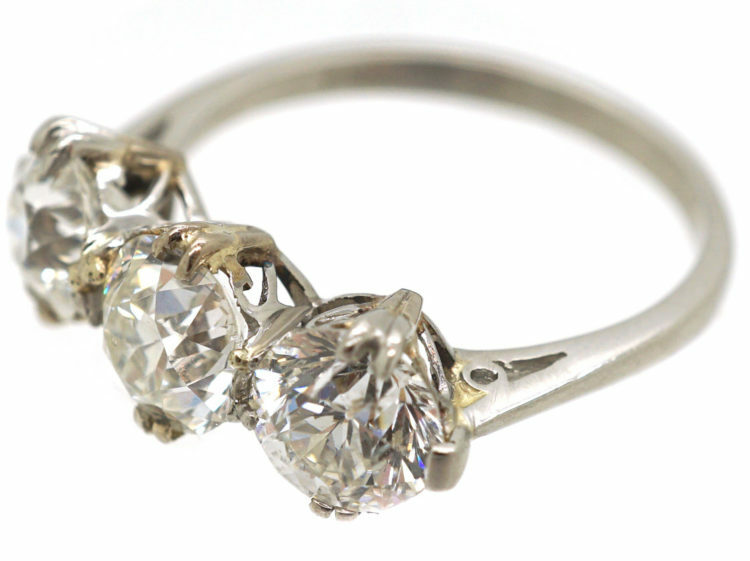 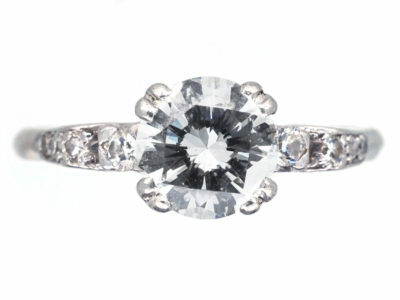 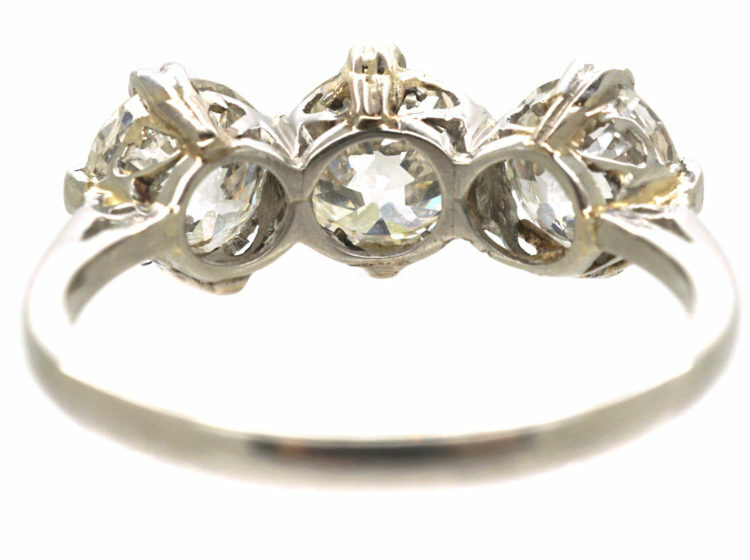 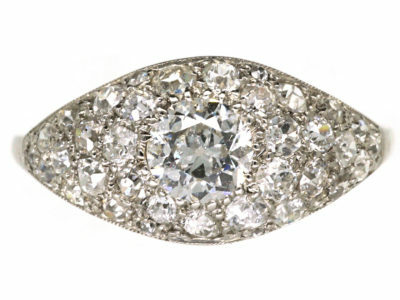 A beautiful three stone diamond ring with a total weight of 3.60 carats. 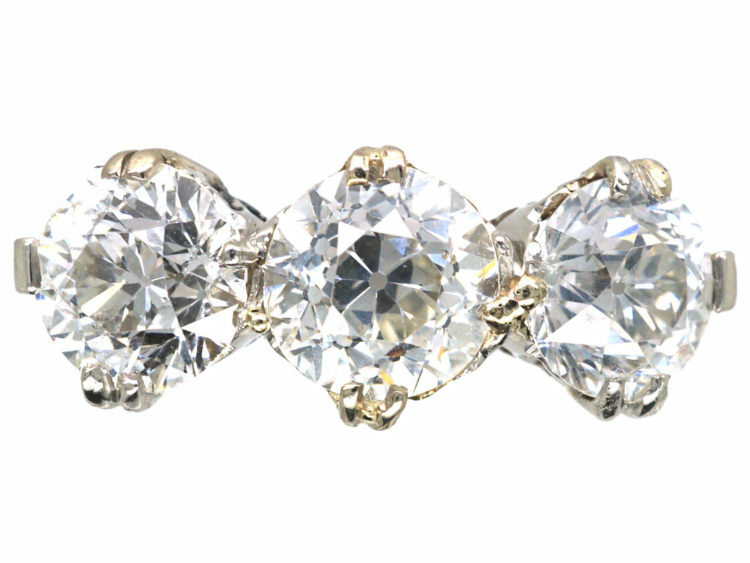 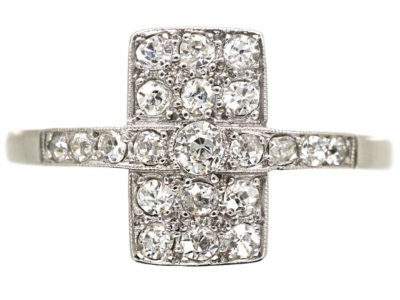 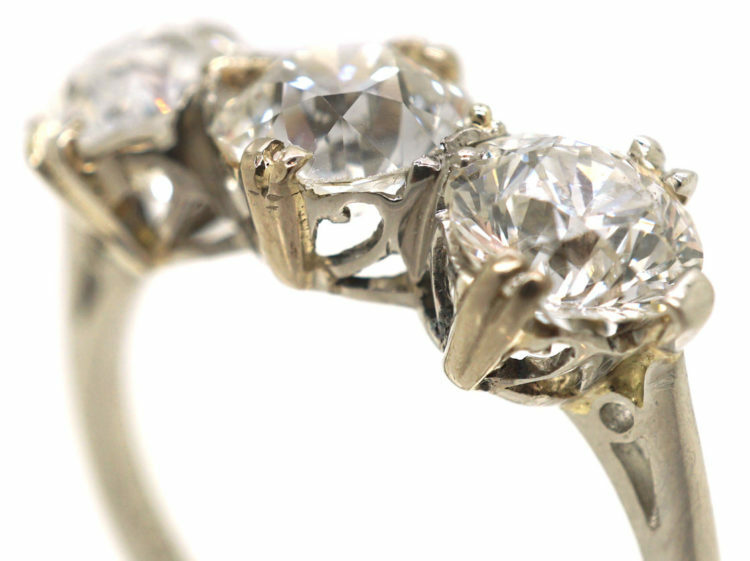 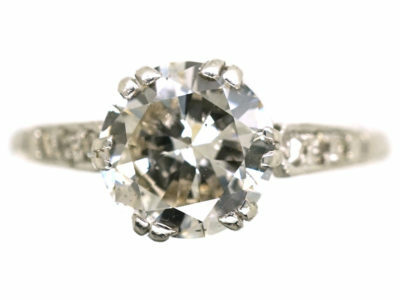 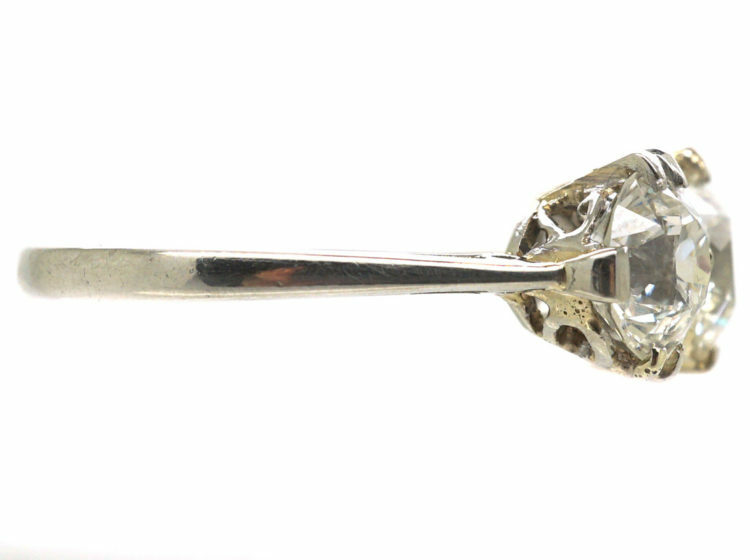 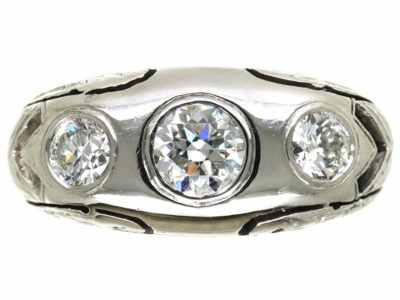 The centre diamond exceeds one carat and each of the side diamonds are eighty points each. 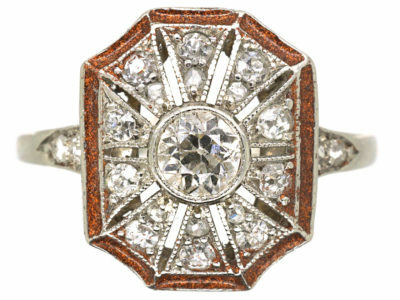 It was made circa 1920-1935. 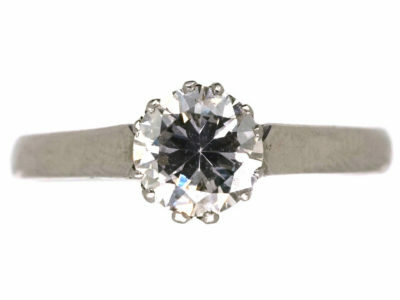 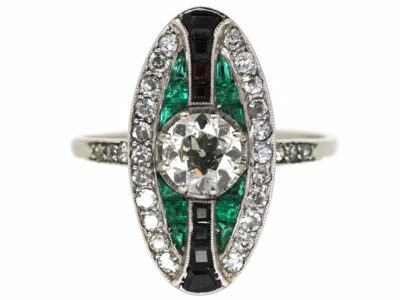 It would be a fantastic and stunning engagement ring.